Hi there, my darlings! 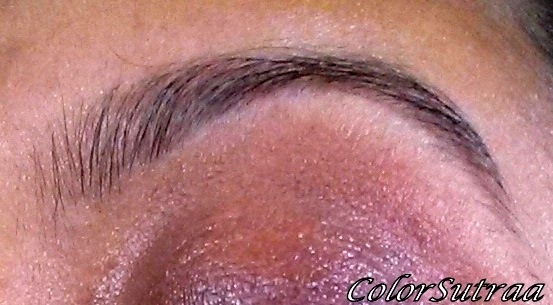 With the latest trend in brow-consciousness, I've begun to become more aware of my own. 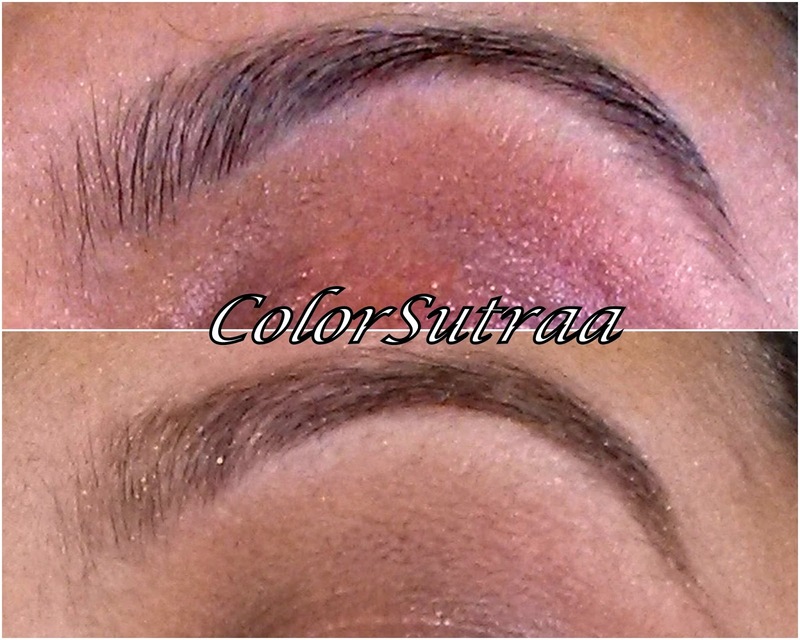 While I have quite thick brows that require just a little threading, there are a few spots that could use a little filling in. With that in mind, I don't shy away from reviewing brow products--this way, both you and I could potentially discover the perfect product for us! 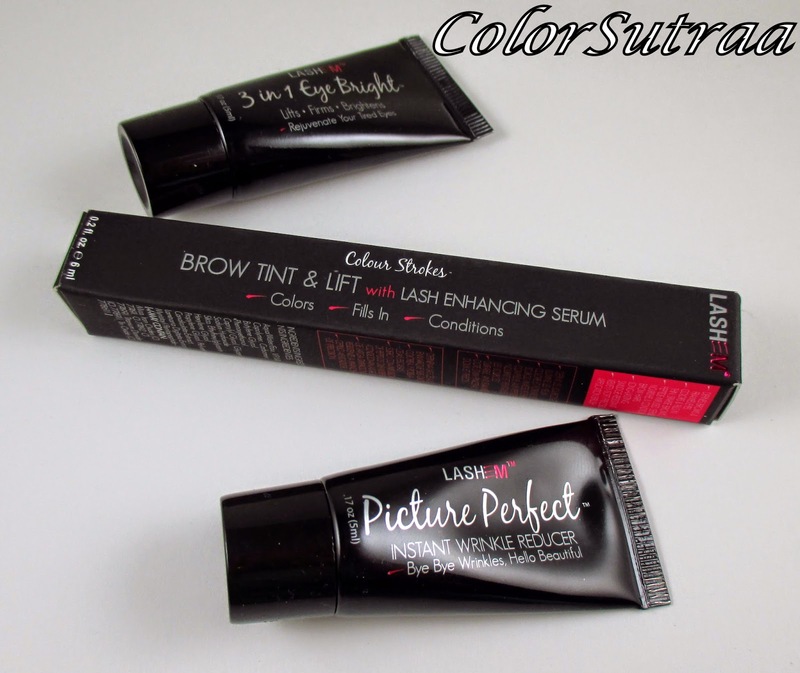 So, today I have my review of Lashem's Colour Strokes Brow Tint & Lift with Lash Enhancing Serum. 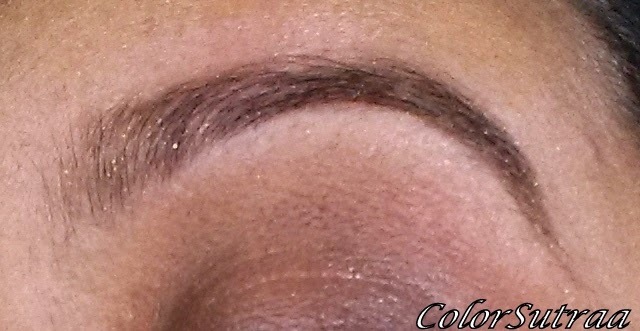 Tint, sculpt, and grow your eyebrows. 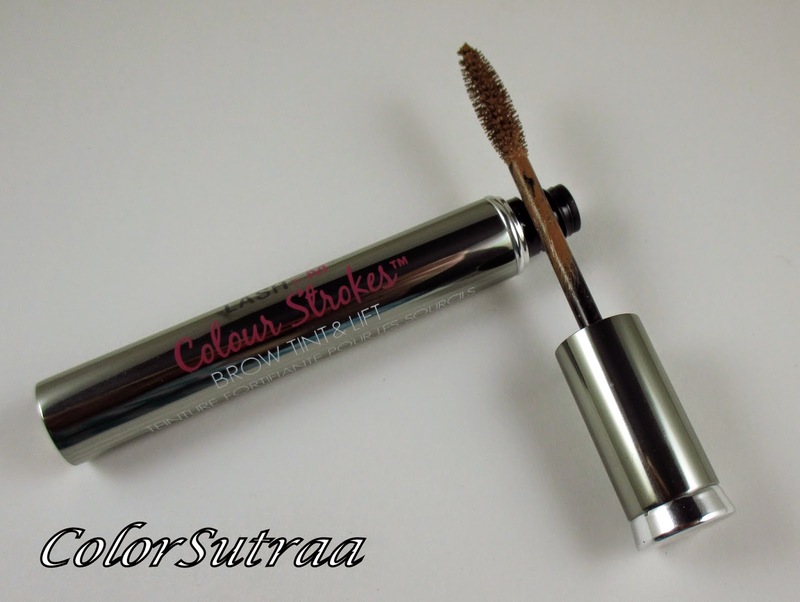 Colour Strokes Brow Tint & Lift with lash enhancing serum helps with eyebrow growth and works as an eyebrow shaping product. Its powerful peptide-rich formula may provide effective protection against breakage, and naturally support stronger, more voluminous brows. The applicator is designed to distribute gel evenly and precisely to fill gaps, and to sculpt brows with one simple application. USES AND IMPRESSIONS : I've been testing this product pretty extensively for quite a few weeks. Why you ask? Well, I was curious to see whether the "lash-enhancing" part of the product description was true. Unfortunately...I didn't see any dramatic results in the 4 weeks of testing when it came to increasing thickness or growth. However, that being said, this is a really easy to use, effective product. I chose the shade Brunette which ended up being a way too light for me but the product itself is failproof--if you can use mascara, you can easily get groomed brows with Lashem! Lashem also included a couple of samples for me, as a gift. While I haven't found much use for the Wrinkle Reducer (yet), I really liked the Eye Brightener--just a little dab under the eyes soothes puffy, sleep-deprived, over-worked blogger eyes. So there you have it, my darlings! 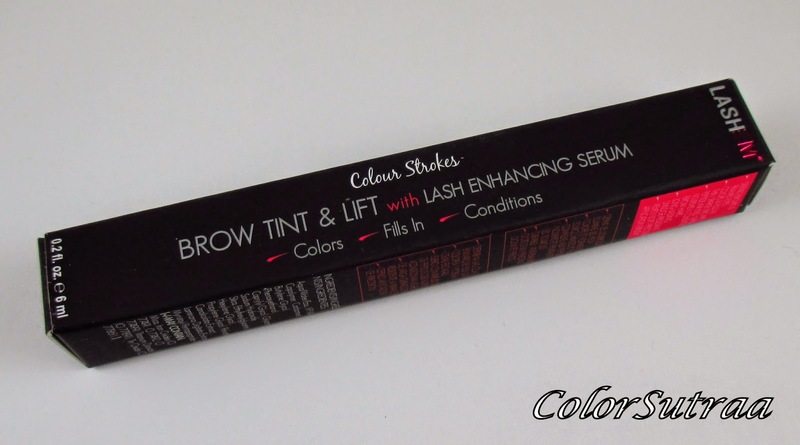 If you would like to pick up your very own Colour Strokes Brow Tint, you can find it on LASHEM's website HERE for the price of $20.00. LASHEM is also available in countries all around the world at retailers including stores like Nordstrom.com, Walgreens.com, Beauty.com, and Pharmasave in Canada, and other beauty supply stores around the world.